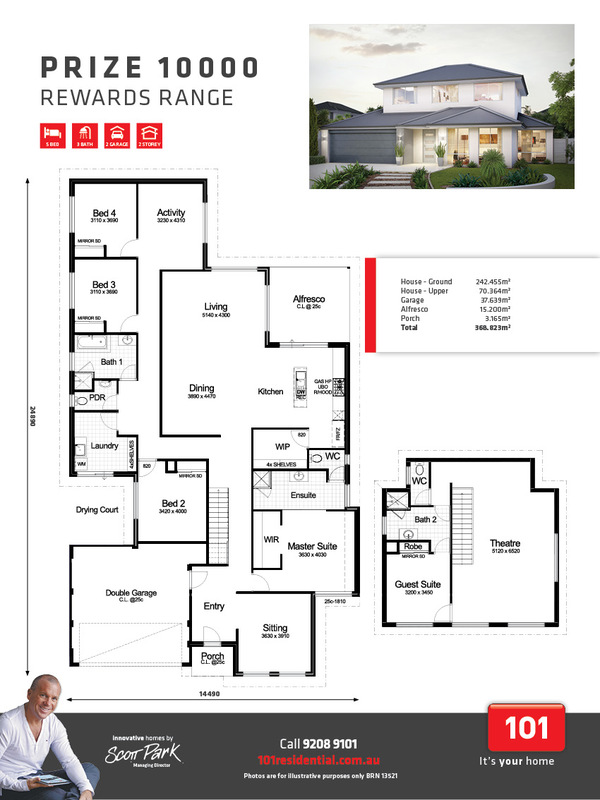 Reward yourself with the Prize 10000, a family home including activity, theatre, large kitchen with walk -in pantry & alfresco. The home also features a deluxe master suite with large ensuite and WIR, 5 double bedrooms serviced by 3 bathrooms and a powder room. Double storey home comes with games room, bar and guest suite.